I saw this wall hanging at the Meijer store in Fort Wayne, Indiana where we stopped to buy a stash of my favorite cottage cheese and it made me think. 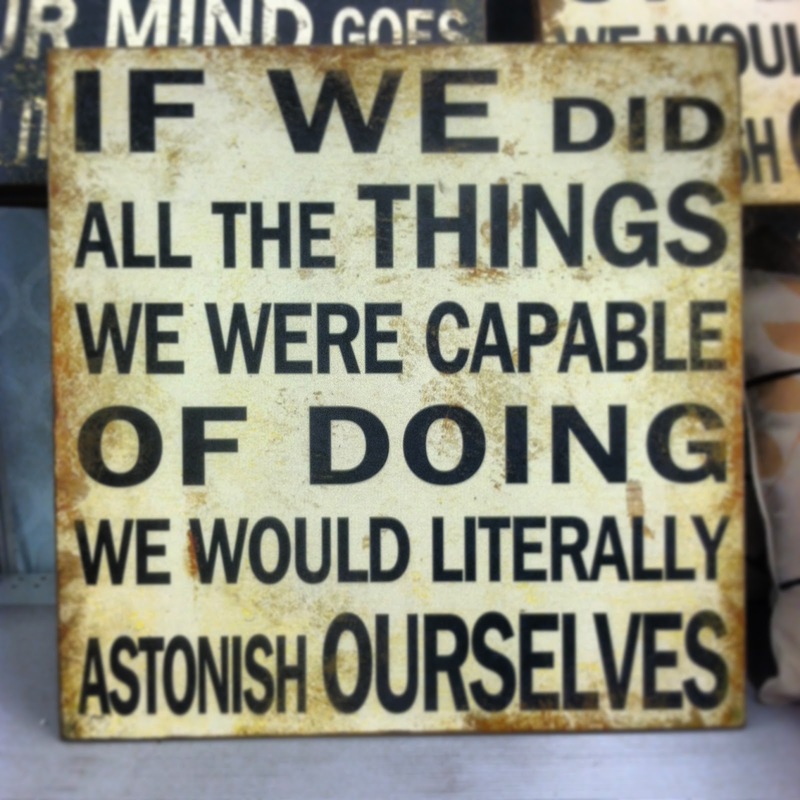 Who the hell has time to do all the things we're capable of doing?? 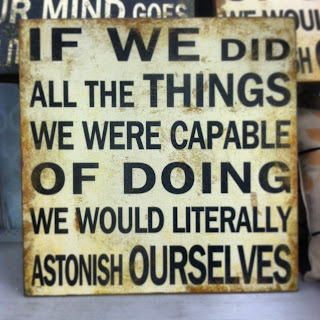 Who the hell wants to do all the things we are capable of doing. I can do a lot of things, doesn't mean i want to do them, I would rather challenge myself by trying something i don't know how to do.